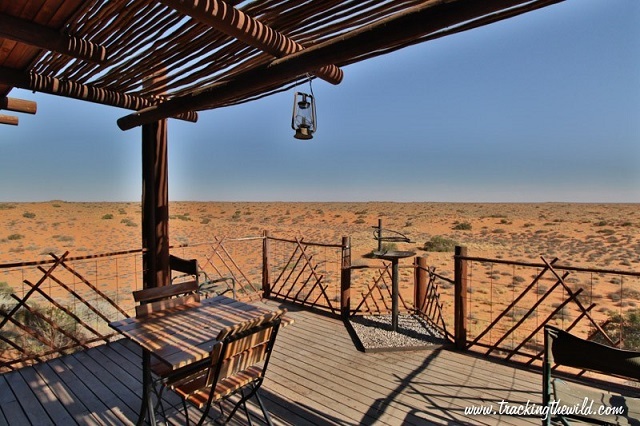 The amazing thing about the Kgalagadi Transfrontier Park is that whilst the park may not boast the Big Five, it doesn’t need it. There’s a wonderful sense of community and it really does gets under your skin, writes Natalie White. 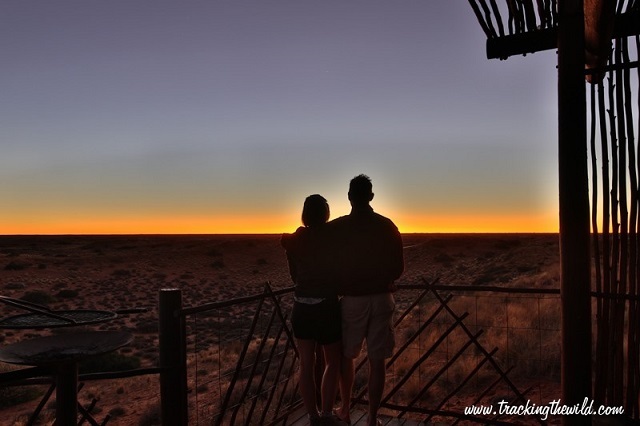 Ever since my husband, John, and I arrived in South Africa nearly five years ago, we have been hankering to visit the Kgalagadi. 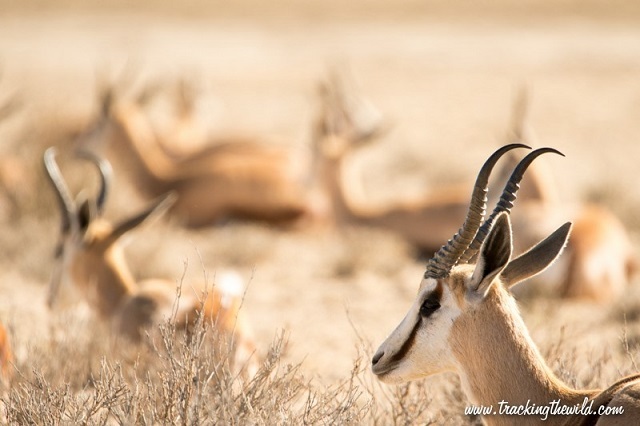 When we started planning a month-long road trip through South Africa, Namibia and Botswana to record wildlife sightings for our conservation app, Tracking the Wild, we knew the Kgalagadi had to be our first stop. The view along the Auob riverbed [both the Nossob (meaning dark clay) and Auob (meaning bitter water) rivers have their sources in the Anas Mountains near Windhoek, Namibia]. 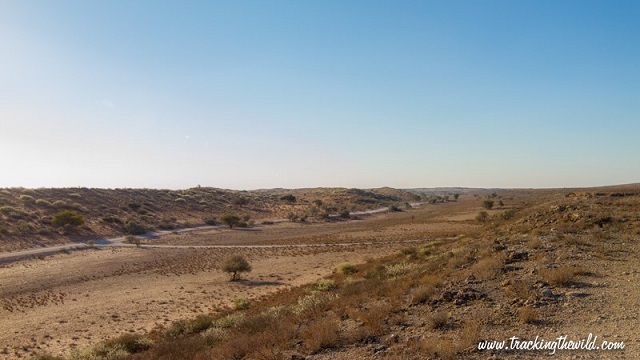 A portion of the river is said to flow once every 11 years. The Auob River last flooded in 2000. 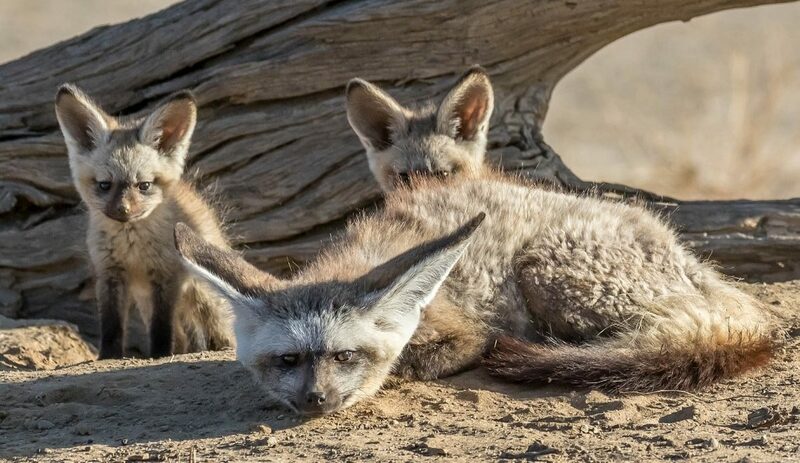 The Kgalagadi comprises 3,6 million hectares and is one of a few conservation areas of this magnitude left in the world. 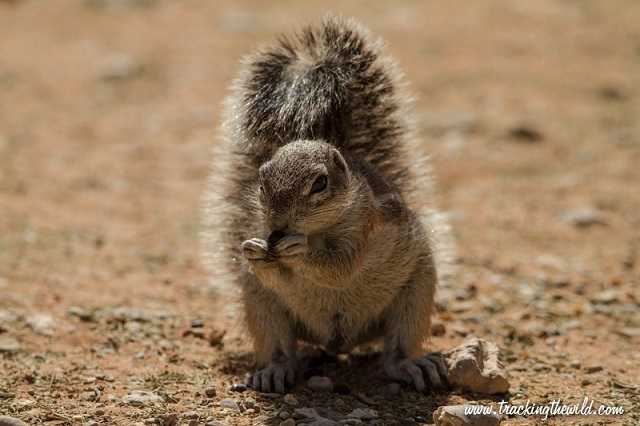 Cheeky ground squirrels are a familiar sight in the camps. 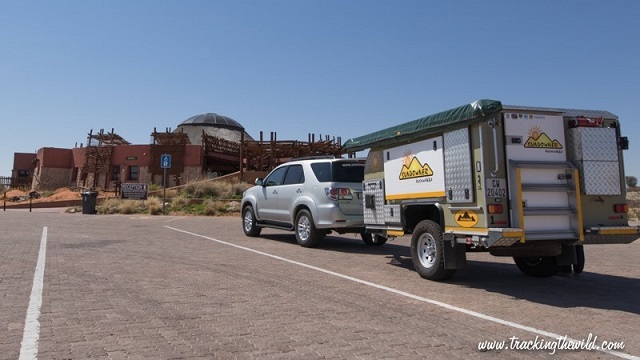 Our next stop was Kieliekrankie Wilderness Camp, situated 50km from Twee Rivieren on the Southern Dune Road. With just four two-bed chalets (a fifth is being completed soon), perched on top of a fiery-red dune, its position is nothing short of remote. 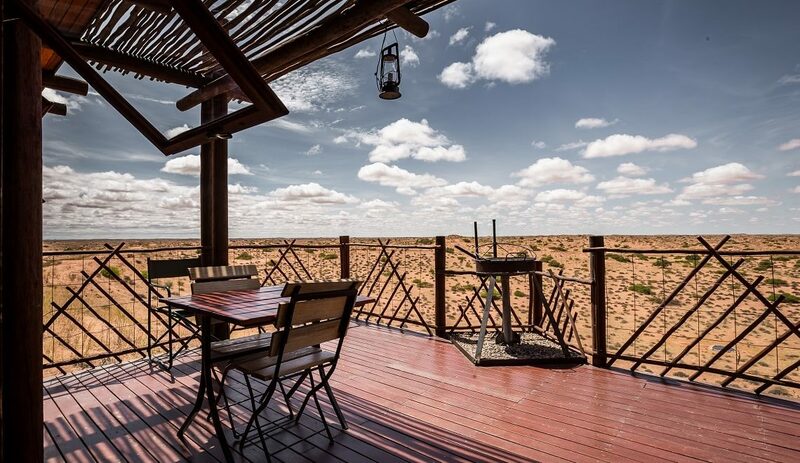 The endless views over the dunes are spectacular and, whilst sitting on the deck overlooking the waterhole listening to the sounds of the Kalahari Desert, I knew there was no better place to be. The views down to the Kieliekrankie waterhole from your private deck. When the sun disappears behind the dunes, magic ensues. 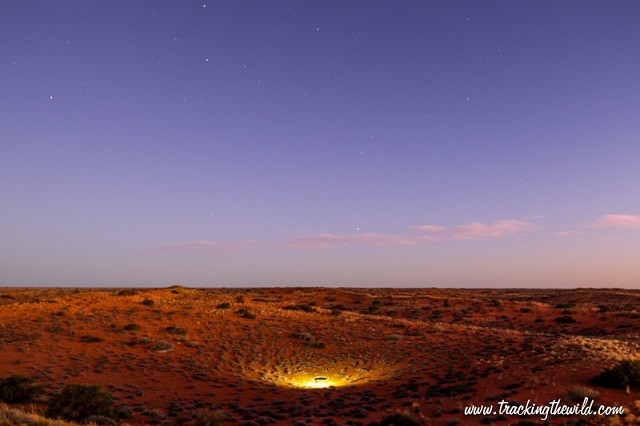 Kieliekrankie waterhole lights up at night prompting visitors to sit and wait for those famous black-maned Kalahari lions to arrive for a drink. 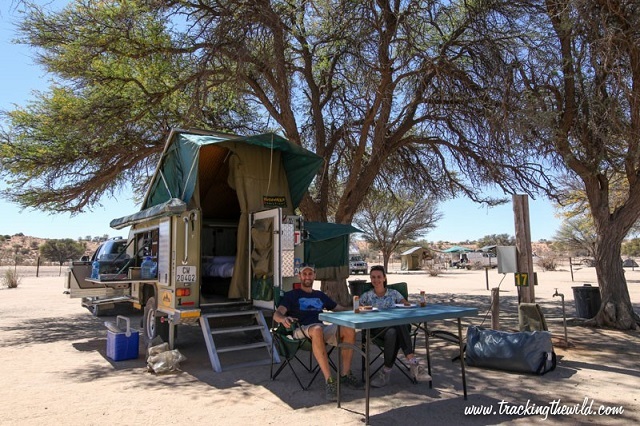 Our final two nights were spent at Mata-Mata Rest Camp [situated on the banks of the Auob River on the western boundary of the park] on the Namibian border. Mata-Mata is another of the main rest camps on the South African side, the other being Nossob, which is hugely popular and already full when we booked. This camp felt much more remote than Twee Rivieren and there is also a game viewing hide overlooking a waterhole that’s located about 100 metres from the campsite. Enjoying a spot of lunch in the shady camp at Mata-Mata. 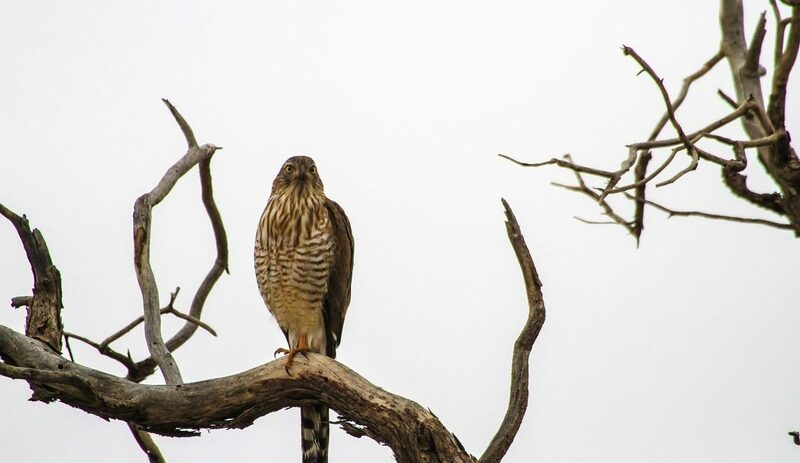 Regular sightings of black-backed jackal, springbok and the threatened lanner falcon are enough to get the camera clicking. 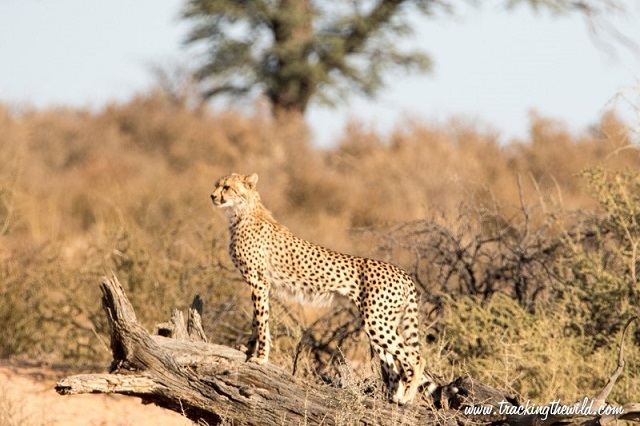 And to top that we were fortunate enough to see cheetah, lion, brown and spotted hyena, and two honey badgers on the hunt – once in a lifetime sightings that left us feeling extremely lucky indeed. The only one that got away was the elusive leopard – something for next time! 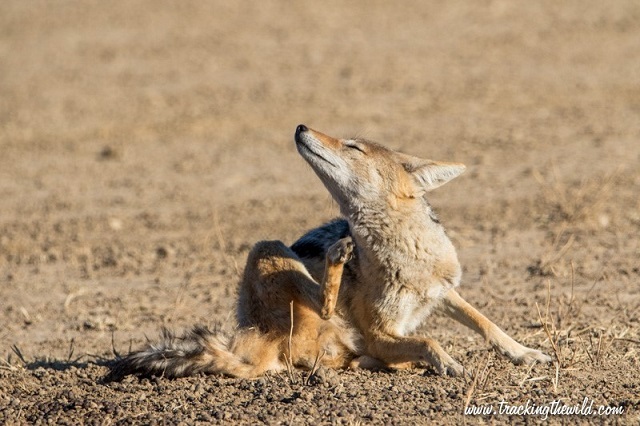 A black-backed jackal having a good scratch. A close-up of the threatened lanner falcon. 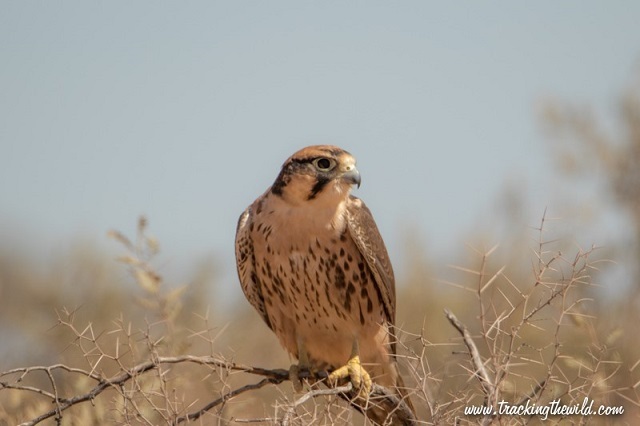 According to the illustrated bird guide Sasol Birds of Southern Africa, the lanner falcon is a fairly common resident in a wide range of habitats from mountains to deserts and open grassland, but avoids forests. One of the six cheetahs we saw. It seemed like this one was on the look-out for a meal. One of the three male lions strolling along the riverbed that had woken us with their roaring the night before. Notice that he’s blind in one eye. 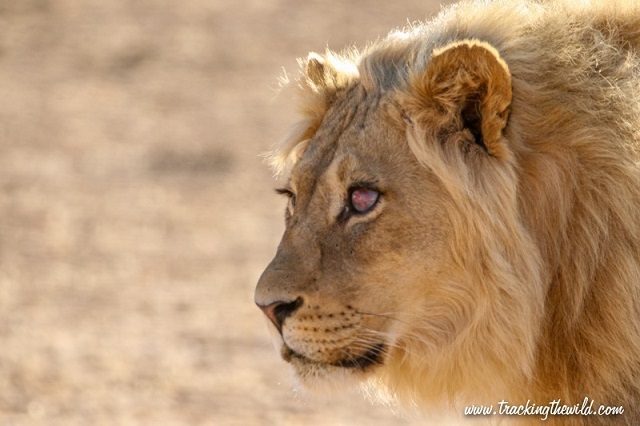 The magic of the Kgalagadi has charmed us for life. Something that specifically struck me is how friendly the people are. Most are keen to stop for a chat and pass on information about what they’ve seen and where. With limited roads in the park, you often see the same faces driving around or back at camp. It attracts many loyal wildlife enthusiasts, which creates a real sense of community and as first-time visitors, we felt privileged to be part of it. We are hooked and already planning our return. The Tracking the Wild app is a cutting-edge conservation tool and social media platform turning your wildlife sightings into part of a wildlife census. All sightings data is captured and stored in a structured format that is easy for conservation researchers to use. For those concerned about the sensitive information relating to endangered or threatened species, the posting of rhino sightings is completely blocked and strict controls have been developed to manage what location data is shown to the public for every species listed on the platform. Every time you share your wildlife sightings, the data is sent directly to the Animal Demography Unit (ADU) at the University of Cape Town where it can be analysed and used to understand the distribution and change in distribution for various species. Everyone can now make their contribution both inside and outside of protected areas. So, next time you are out taking animal snaps, even if it is in your garden, remember to give Tracking the Wild a try! The app is free to download for Android from Google Play or iTunes for iPhone.